First Baptist East Flat Rock’s Senior Adult Ministry is a great time of Christian fellowship and an even better time of spiritual growth. 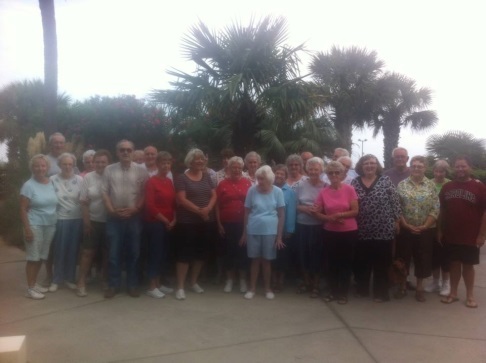 At 10:00 on Wednesday mornings a group of senior adults joins together to pray for the needs around them. Whether it be loved ones, complete strangers, the church, or the nation, they spend time together praying over each one. After the prayer time, they join together in the fellowship hall for a time of Bible study and discussion. Pastor Jeff, or the occasional guest speaker, always brings to the table an enlightening and in-depth look at God’s word and how it relates to today’s world. 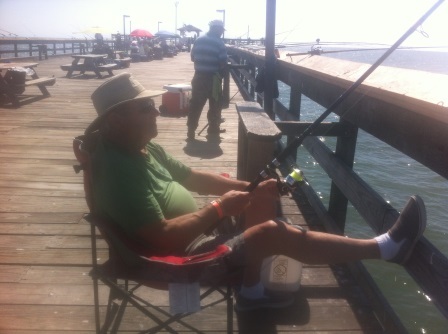 The Senior Adults of FBC are always on the go! They can be spotted all over the southeast (and beyond sometimes). It could be a trip to hear a southern gospel group, or a trip to Pigeon Forge to board the Titanic. It could be a trip to Broyhill Children’s home to see the cottage they sponsor. And who could ever forget their yearly trip in September to Myrtle Beach?! There is always something exciting going on with this group. See the Senior Adult board outside Jeff’s office for sign ups! 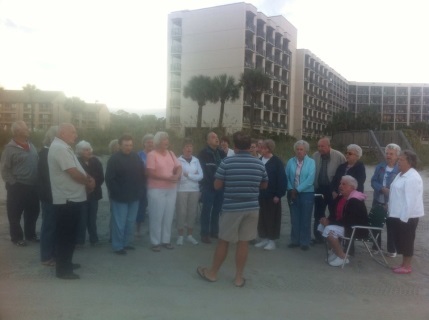 This group brings with it a wonderful spirit of Godly fellowship. It is all about cultivating relationships, relationships with God and one another through their walk with Christ. The doors are always open. The laughter is always plentiful. The Spirit is always present. Come check out FBC Senior Adult Ministry and all the Christian fun!